If you have lost your key and you fear that it might fall in unscrupulous hands, you would want to replace your locking system. But wait a minute! Is there a cheaper alternative? It’s mistakenly believed that a misplaced key means that your entire locking system needs to be changed. 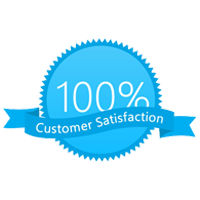 However, we, at Liberty MO Locksmith Store believe that you can achieve the same results if you rekey locks instead. Rekeying means modifying the internal combinations of the lock in such a manner that the old keys will no longer work here. The new configuration in the locks will open only with a new set of keys. The locksmith will make new keys to go with the rekeyed old lock. While the lock may look same on the outside, it will function only with the new keys. Here are some situations wherein opting to re-key locks would be better in comparison to a full lock change. As soon as you move into a new house, you would want to change your locks. However, this can cost you quite a bit. Often many people discard the good quality old locks and opt for poor quality locks that do not offer adequate protection. If you are about to throw away the existing locks, hold on! Let Liberty MO Locksmith Store’s experts in Liberty, MO area rekey locks instead! This way you don’t have to invest in new locks and your home is well protected too. 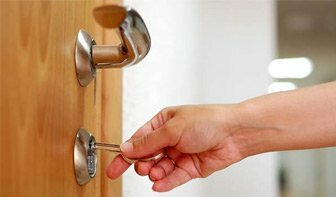 If you have evicted a tenant recently, you have every reason to change your locking system. For all you know, your tenant may use his spare key to enter and vandalize your property. Go for rekeying solutions offered by our experts and secure your property. It is always a good idea to re-key locks in the event of a fall out with someone who happens to have a spare key to your house. This way you can be sure that only you would have the key to your house and there is no threat of anyone breaking in and causing damage. If you are in a situation wherein you are thinking of changing your locks, call our experts at Liberty MO Locksmith Store to assess your security system and offer you the right re-key locks solutions for your requirements. Call 816-295-2934 to avail our services in Liberty, MO.